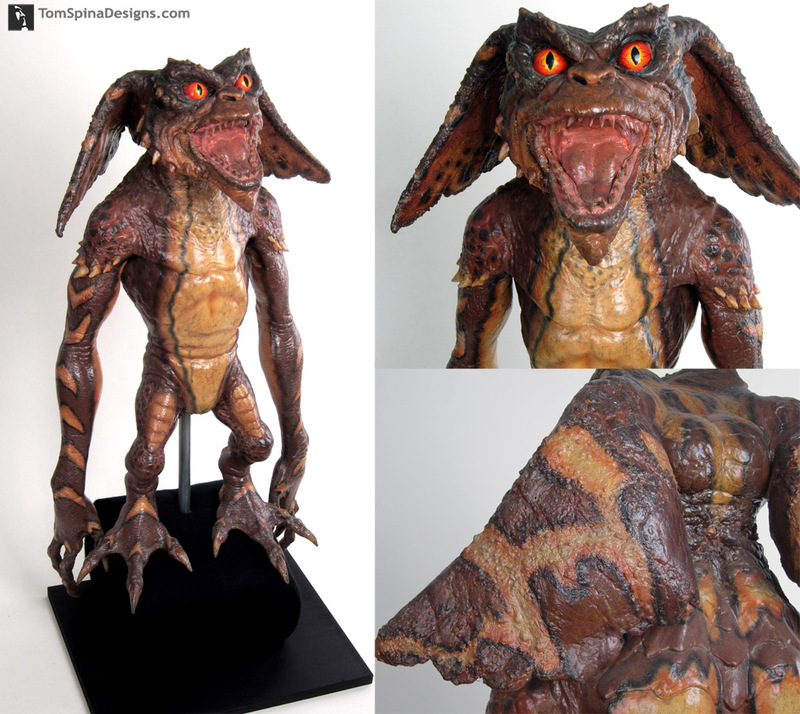 This Gremlins 2 puppet came to our New York studio for restoration and a custom display. This brown foam latex and polyfoam Gremlins 2 puppet prop was screen used in the 1990 movie, The New Batch, the sequel to the original horror-comedy classic. 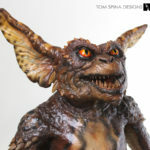 Each Gremlins movie prop restoration or puppet conservation project has its own challenges, for this prop, it was his ears and neck. Both areas needed a lot of attention in order to properly repair them. 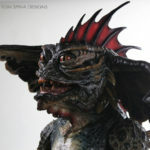 Over time the weight of his head and the movement of his neck caused a lot of stress and cracking which needed to be repaired and stabilized before the prop could be supported upright for display. 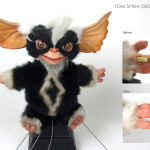 We also patched his ears and a few other spots on his body which had become cracked or weakened over time. We blended the missing pieces not only for aesthetics but also to help support the surrounding areas. We then painted the repairs, making sure not to cover over any vintage, production paint work. 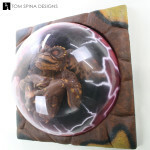 We wanted to be sure our repairs matched the original, aged material. As always, only the areas we patched were painted, leaving the piece very much original! The restored prop was mounted on a custom, museum style, display stand to show off the restored prop. 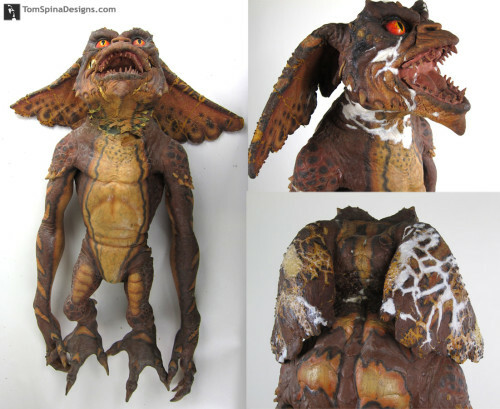 The puppet also received a custom archival insert to support the body of the Gremlins 2 puppet over time and minimize stress on his neck. 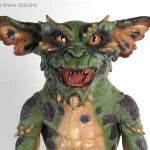 Be sure to visit our other restoration galleries if you’re a Gremlins fan! Quite a few collectors and auction houses have entrusted us to restore their original prop puppets from those movies!